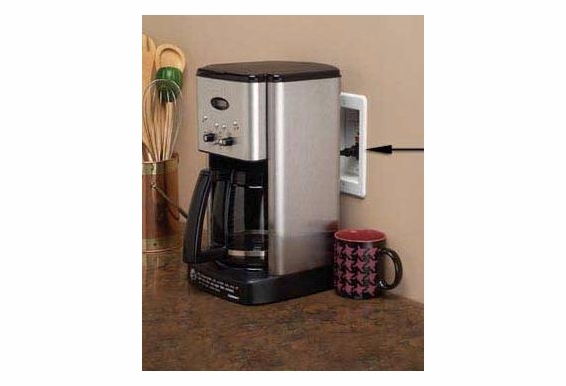 Get your kitchen in order with our recessed DVFR1W single gang wall box that allows you to place appliances like coffee makers or microwave ovens closer to the wall. 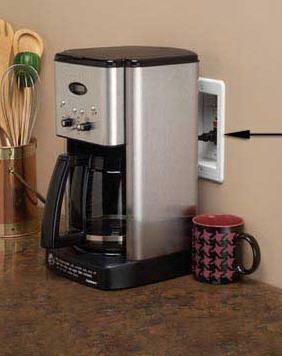 Plugs extend past the wall with regular boxes. 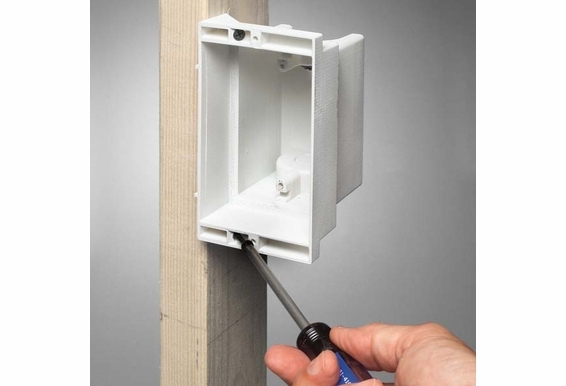 Those plugs won't extend beyond the wall with this easy-to-install 1-gang wall box. The result is a neater appearance with more counter space. 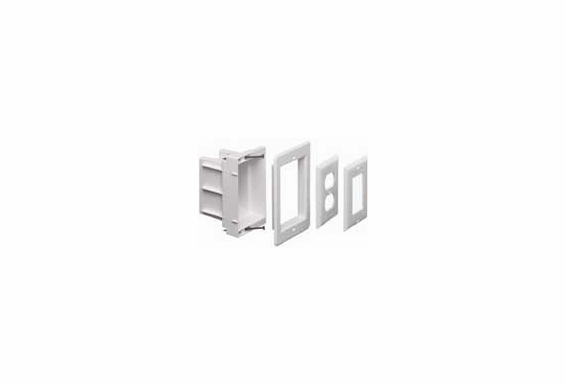 The textured trim plate can be painted to match your de´cor. 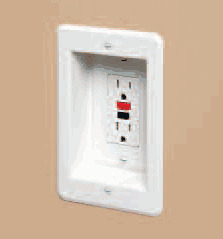 This recessed wall box is for low-voltage applications. 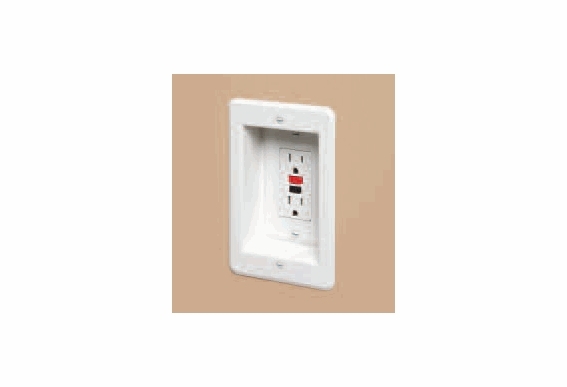 It includes two standard duplex and two standard GFCI faceplates. 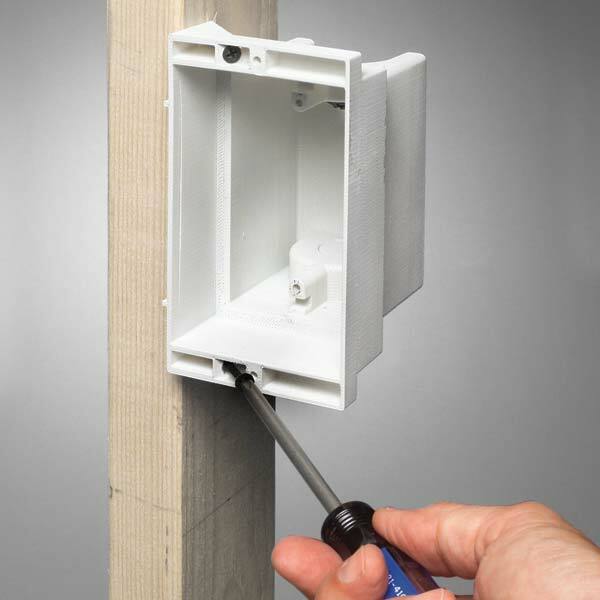 Also included are two NM cable connectors, four mounting screws and two installation screws. Enjoy free lifetime technical support with every purchase from OutdoorSpeakerDepot.com. We guarantee the lowest prices. If you find a product that's cheaper, we'll match that price tag. Because of our huge inventory, we're renowned for quick turnarounds on orders with fast delivery to U.S. and selected international destinations. Dimensions: A:4.2", B:6.70", C:.750, D:3.30", E:5.93", F:3.88"